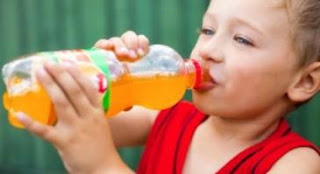 Reuters (8/16, Seaman) reports that research published online in the Journal of Pediatrics suggests that soda consumption may be linked to certain behavior problems in children. Investigators followed the habits of about 3,000 mother-child pairs. Information on soda consumption was compiled when the children were 5 years old. The mothers were asked to self-report how many servings of soda their child drinks on a typical day, and to answer a series of behavioral questions. The investigators say they found a correlation between 5-year-olds’ soft-drink consumption and aggression, attention problems and withdrawn behavior. Previous research has suggested an association between soft drinks and older children’s aggression, depression and suicidal thoughts. 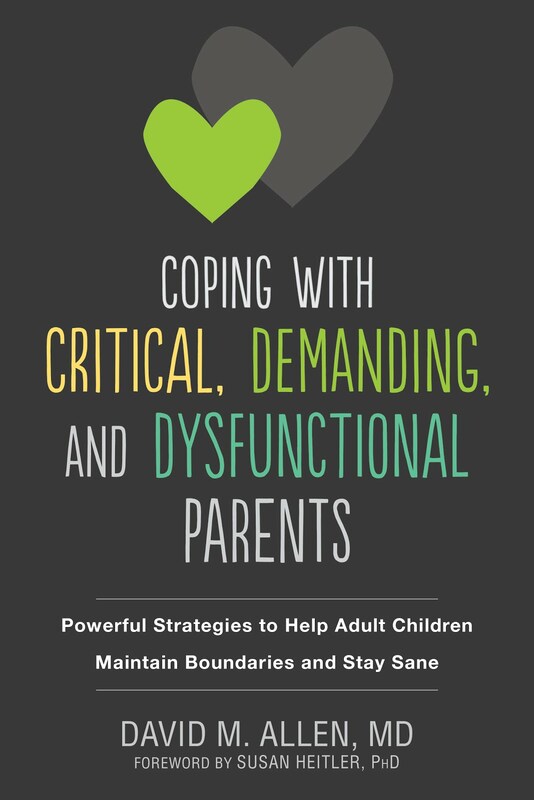 Probable intervening variable: Mothers who don't limit their children's food choices or amounts thereof are also very likely poor administrators of other necessary forms of discipline, which in turn creates the aggression, attention problems and withdrawn behavior in the kids. But you'll rarely see a possibility like that mentioned in a journal article or the news report about it. 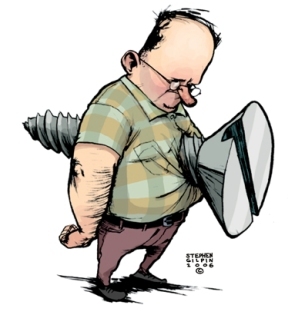 The old joke is that “managed care” insurance should be more accurately termed “mangled care” insurance. At the annual meeting of the American Psychiatric Association in May in San Franciso, Susan Lazar, M.D, a psychiatrist in private practice, discussed the cost effectiveness of psychotherapy. While new federal laws and the upcoming Affordable Care Act mandate equal treatment of mental and physical health problems, access to psychotherapy in particular is under attack from insurance companies. “For the past three years, many insurance companies, including Cigna, UnitedHealthCare, and Kaiser Permanente, began severe restrictions on mental health care, particularly psychotherapy,” Dr. Lazar said. She added that patients most in need of more prolonged and intensive psychotherapy are typically the patients whose treatment and services are threatened. Long term psychotherapy is often the first line treatment for a number of psychiatric conditions, including personality disorders and chronic severe anxiety mixed with depression. Medication certainly can augment treatment in cases like those, but it is literally just a band aid. In children and adolescents, family psychotherapy is particularly important, and it is disappearing at an alarming rate as kids are plied with potentially toxic central nervous system depressants and stimulants to shut them up and keep their parents’ anxiety and guilt under control. Psychotherapy has also been shown to be extremely cost effective according to many studies, yielding savings not only in overall health care costs and utilization, but in disability, destructive or antisocial behavior, and other societal costs. That does not, of course, mean than it is cheap. Large multi-site and meta-analytic studies have demonstrated that psychotherapy reduces disability, morbidity and mortality; improves work functioning, and decreases psychiatric hospitalizations. Psychotherapy teaches patients life skills that last beyond the course of treatment. The results of psychotherapy tend to last longer than psychopharmacological treatments and rarely produce harmful side effects. The American Psychological Association tried to send out warnings in a 2010 paper titled, Where Has all the Psychotherapy Gone? 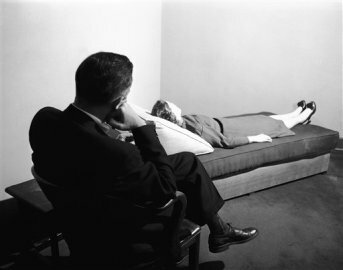 According to the author of that paper, 30 percent fewer patients received psychological interventions in 2008 than they did eleven years earlier; since the 1990s, managed care has increasingly limited visits and reimbursements for talk therapy but not for drug treatment; and in 2005 alone, pharmaceutical companies spent $4.2 billion on direct-to-consumer advertising and $7.2 billion on promotion to physicians, nearly twice what they spent on research and development. While the percentage (3.37) of Americans who received outpatient mental health care in 2007 was very similar to the proportion of those (3.18 percent) receiving such treatment in 1998, the pattern of that care changed. Overall there was a decrease in the use of psychotherapy only, a decrease in the use of psychotherapy in conjunction with medication, and a big increase in the use of medication only. In 2008, 57.4 percent of patients received medication only, indicating that compared with treatment patterns in 1997, approximately 30 percent fewer patients received psychological interventions. This trend was noted particularly among those with anxiety, depression and childhood-onset disorders – the very conditions that respond best to longer term psychotherapy. For children being treated, 58.1 percent received medication alone and no other interventions. This despite the lack of research supporting the safety and usefulness of many of these medications. The burgeoning managed care industry has developed strategies to reduce the costs associated with the mental health and substance abuse benefits portion of both public and private health insurance plans. Over time, management of these benefits has resulted in controlling provider fees, strict limitations on episodes of inpatient care, and a reduction in the average number of outpatient visits per patient treated. Interestingly, prescription drugs are not typically part of the costs managed by these carve-out plans. By 2006, the costs of psychotropic drugs accounted for 51 percent of mental health care spending. Per capita expenditure for psychotropic medications tripled from 1996 to 2006. If patients and potential patients do not complain to their employers as well as to their politicians, this situation will only get worse as the insurance companies develop even more ways to get around mental health parity mandates. And even if you don’t need help, do you really want to live in a society in which you might often find yourself surrounded by unstable individuals who can’t get help? It’s getting dangerous out there. 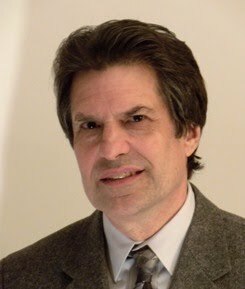 Dr. Allen discussed his ideas about borderline personality disorder in detail (this time it's just him and the host) on The Earth Needs Rebels Show broadcast on Orion Talk Radio http://oriontalkradio.com from Tonawanda, New York, 1650am and global on the internet, with additional feeds like Tunein Radio (http://tunein.com for more information on tunein radio and free software). Here is the link to the downloaded broadcast: http://oriontalkradio.com/archives.htm. Click on "down" and not on "listen." The date and times posted for the broadcast: Tuesday, August 13, at 1:05 and 2:05 PM. Parts 2 will be on live September 10 from 12-2 PM U.S. Central Time. Dr. Allen participated in a panel discussing freeloading family members on The Huffington Post's video news network, HuffPost Live (live.huffingtonpost.com). Are the National Institute on Drug Abuse and Big Pharma in Bed? 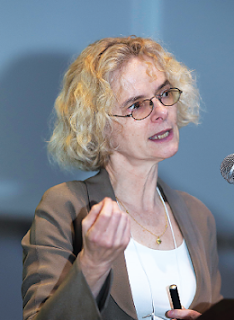 At the annual meeting of the American Psychiatric Association (APA) in San Francisco in May, Nora Volkow, the director of the National Institute on Drug Abuse (NIDA) was just brimming with a lot 'o news about the square of the hypotenuse. No, I'm sorry, I mean about how much more we know about drug abuse because of brain imagining techniques. This new knowledge she spoke of was summarized in the Psychiatric News, the newspaper of the APA, in the June 21 issue. The gist of the story was that the drugs themselves impair certain brain circuits, which must then be somehow strengthened through treatment. One of the points she raised is that drugs like methamphetamine cause dopamine receptor signaling to be decreased in the pre-frontal cortex - the part of the brain known to be crucial in executive control (decision making). Thus, the normal brakes on someone indulging in something are supposedly damaged. If this be true, one might think that she would be up in arms about the widespread, indiscriminate use of amphethamines like Adderall in children. 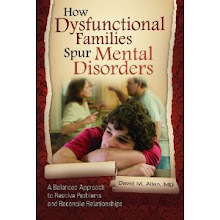 At the very least, a high percentage of ADHD diagnoses are given to kids suffering from the effects of living in a chaotic environments of one sort or another, and for whom family therapy would be the most important treatment. Perhaps there are some cases of ADHD that are due to neurotoxin exposure or something like that in which the benefits of the use of stimulants outweigh the risks - a questionable assertion itself since the average academic gain for ADHD-diagnosed kids on stimulants is all of about three whole months. For some reason, however, while she acknowledges in other venues that prescription drug abuse, including that of stimulants, is a major problem, she continues to maintain that stimulants are safe and effective when used for ADHD. She does admit in one article that ritalin basically works the same way in the brain as cocaine! So is she saying that there is some point at which the alleged adverse affects on executive functioning she was going on and on about at the APA magically become inconsequential? And yet, she also spends some of her time exaggerating the adverse effects of the devil weed , marijuana, in a campaign to keep it illegal. It seems there is a double standard she has towards the risks of the drugs sold by Pharma compared to those that are not. How much worse than the physiological effects of pot, one might ask, are the adverse effects on potheads of jailing them and turning them into felons for the rest of their lives. Or the risks to black kids? They are no more likely than white kids to smoke pot, but are four times more likely to be arrested for it. These are not adverse effects? "Think about it: Do you want a nation where your young people are stoned?" she was quoted as asking. I hate to break this to her, but any kid who wants to get marijuana already can. It's like one of the biggest cash crops in several states. I don't think she has come out in favor of prohibition against alcohol or tobacco, two substances with far more potential adverse physiological effects than pot ever thought about having, so that she might at least be consistent. Does she think that young people aren't already getting "stoned" on booze? As mentioned, she does not seem to be all that concerned about the adverse effects of the stimulants - that she herself describes - when used for legal and "proper" uses. More on that in a sec. Nor does she mention that prescribed stimulants are diverted to "non-medical" uses far more often than even opiates! It seems almost like she thinks the risks of drugs are entirely dependent on whether or not drug companies make money from them. I am not surprised by any of this. Many years ago I listened to a talk from someone from NIDA about the horrible effects of dopamine depletion in the brains of regular amphetamine users. I thought about getting up and asking a question, but someone beat me to it. "Doesn't this happen in kids taking stimulants for ADHD?" the fellow asked. The answer? "But the drugs work so well!" As if that were an answer. Now I don't know if NIDA and Big Pharma are in bed together, but that answer sure made me wonder about it. "Among both lab animals and humans, voluntary initiation of drug use leads to subsequent loss of control and development of addiction among 10% of subjects. The lab rats and mice are uesful for refuting old stereotypes. Some people still consider addiction moral turpitude, she said. 'But how can you develop the same phenotype in a rat, who have no moral precepts?'" This argument is a bit of a straw man, since thoughtful mental health professionals these days are not so much concerned with the issue of sin, but more with the question of whether or not drug abuse is due to deliberate and purposeful self-destructiveness. The fact that the 10% figure applies to both rats and people seems to argue for some sort of genetic cause, does it not? But rats having the same phenotype as human beings? Really?!? I personally have never met any rat that understands the negative effects that a drug might be having on it, or that is able to anticipate the future consequences of continuing to imbibe. People do have these abilities. Furthermore, as I have already pointed out in various venues, scientists still have yet to locate any rats that hide bottles of alcohol. And now back to that whole executive functioning thing. Methinks she is grossly exaggerating certain of the risks from drugs used entirely to get high. (Anyone remember the scourge of "crack babies?" Turns out that was all one big - and racist - lie). Seems to me the supposed "impairments" in executive functioning in addicts that she talks about are awfully specific and limited. In the past, a lot of cocaine addicts, for example, used to burglarize houses and fence the goods to support their habits without even getting caught. It would seem to me that quite a bit of executive functioning is being exhibited in that endeavor. Imagine what master criminals they might be if they had unimpaired executive functioning. It boggles the mind! And if addicts do have a sort of brain damage, how can some of them suddenly just stop using after attending just one meeting of a 12 step program, and then stay sober by continuing to be in the program? Not as many as we'd like, but still many do. The 12 steps were based originally on techniques used by Protestants to get others to adopt their religious beliefs, not treat brain dysfunction. So how is it that what is essentially a change in cognitive beliefs can fix a brain overnight? I have argued that many of the brain changes observed in MRI studies are actually conditioned responses due to neural plastic changes in brain structure and function in response to the social environment (No, not all of the observed changes. Some can indeed be due to drug effects, trauma, or disease. Duh). The conditioned changes can indeed happen in relatively short time frames. But literally overnight? Please.